On the evening of October 23rd a partial solar eclipse takes place, ideally timed for North Americans to observe in the evening. The Moon's first contact with the Sun takes place at 4:25 PM CDT, and the moment of greatest eclipse is at 5:31 PM. These times are for an observer located in Minneapolis, MN; for other parts of the US, the times will vary slightly. Anyone wishing to view the eclipse should view it through special solar observing filters or by projecting the Sun's image. Don't ever stare directly at the Sun, even with sunglasses, and especially not through a telescope! To simulate the partial solar eclipse in Starry Night 7 look in the Find Panel (the right sidebar) under "Today's Sky" and click on the listing for "Partial Solar Eclipse". Enjoy SN7! Will you be viewing the partial solar eclipse today? Rosetta spacecraft reaches comet and makes history! Europe’s Rosetta spacecraft arrived at comet 67P/Churyumov–Gerasimenko today after a ten year journey, making history by becoming the first spacecraft to orbit a comet. It will now look for an appropriate landing site for its Philae lander, scheduled to land in November. On a May evening many years ago, I made my first exploration of the night sky. The only star pattern I could recognize was the Big Dipper, but with a star chart in a book, I used that to discover the bright star Arcturus in the constellation Boötes. The trick to learning the constellations is to begin with the stars you know, and use them to identify their neighbors. This same technique, known as "starhopping" is the key to discovering all the wonders hidden amongst the stars. Start, as I did, with the Big Dipper, high overhead as the sky gets dark at this time of year. The stars that form the Dipper’s handle fall in a gentle arc, and if you project that arc away from the Dipper’s bowl, you come to a bright star. This is Arcturus, the third brightest star in the night sky, and the brightest star in the northern sky. Only Sirius and Canopus, far to the south, are brighter. Arcturus is bright in our sky for two reasons, first because it is relatively close to us, 38 light years away, and secondly because it is inherently a bright star, much brighter than our Sun. 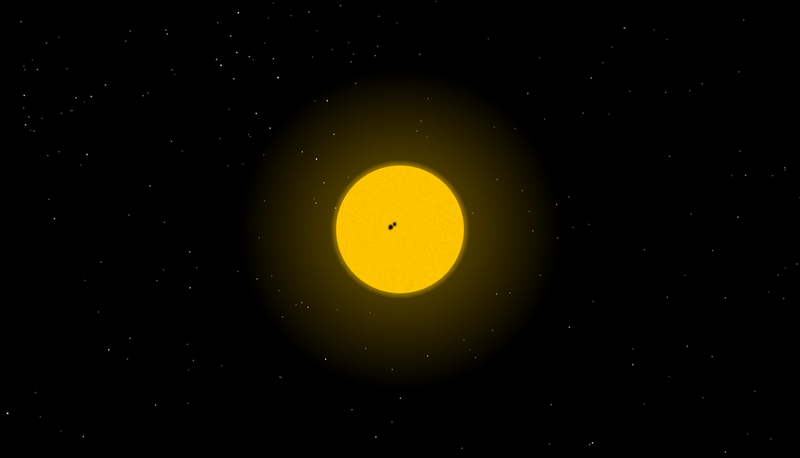 Though larger and brighter, it is a slightly cooler star than our Sun, so appears orange to our eyes. Although Boötes is supposed to be a ploughman in mythology, its pattern of stars most resembles a kite, with Arcturus marking the bottom of the kite where the tail attaches. Notice the little dots over the second "o" in Boötes: this indicates that the two "o"s are supposed to be pronounced separately, as "bow-oo’-tees," not "boo’-tees." Once you have identified Boötes, you can use its stars to identify a number of constellations surrounding it. Between it and the Big Dipper are two small constellations, Canes Venatici (the hunting dogs) and Coma Berenices (Bernice's hair). To Boötes left (towards the eastern horizon) is the distinctive keystone of Hercules. Between Hercules and Boötes is Corona Borealis (the northern crown) with Serpens Caput, the head of the serpent, poking up from the south. Although most stars appear to our unaided eyes as single points of light, anyone with access to binoculars or a telescope soon discovers that nearly half the stars in the sky are either double or multiple stars. Some of these are just accidents of perspective, one star happening to appear in the same line of sight as another, but many are true binary stars: two stars in orbit around each other, similar to the stars which shine on the fictional planet Tatooine in Star Wars. Every star labeled on this map of Hercules, Boötes, and Ursa Major is a double star, worth exploring with a small telescope. Some, like Mizar in the Dipper’s handle, can be split with the naked eye. A closer look with a telescope shows that this is really a triple star. Others require binoculars or a small telescope. Some of the finest are Cor Caroli in Canes Venatici, Izar (Epsilon) in Boötes, Delta Serpentis, and Rho Herculis. One of the joys of double star observing is the colour contrasts in some pairs. Others are striking for matching colours and brightness. My favorites are stars of very unequal brightness, which look almost like stars with accompanying planets. Also marked on this chart are three of the finest deep sky objects: the globular clusters Messier 13 in Hercules and Messier 3 in Canes Venatici, and the Whirlpool Galaxy, Messier 51, tucked just under the end of the Big Dipper’s handle. You will probably need to travel to a dark sky site to spot this galaxy. A six-inch or larger telescope will begin to reveal its spiral arms, including the one that stretches out to its satellite galaxy, NGC 5195. On winter evenings, the sky is filled with bright stars, more than at any other time of the year. Central in the southern sky is the constellation of Orion the Hunter. Along with the Big Dipper, this is probably the most easily recognized constellation, and the starting place for a stargazing adventure. We apologize to our readers in the southern hemisphere, where it is summer. But even in the south, Orion dominates the sky right now. Turn the chart upside down, and everything we say will still apply. Orion itself sits astride the celestial equator, half way between north and south celestial poles. This makes Orion an “equal opportunity” constellation, well seen everywhere on Earth except at the poles. The main figure of Orion is a large rectangle of four bright stars, including two of the brightest stars in the sky, Betelgeuse at upper left and Rigel at bottom right. These four stars represent the shoulders and knees of a might hunter. The thing that most people notice first is the diagonal line of bright stars right in the middle of the rectangle, which represent the giant’s belt, worn at a jaunty angle. Hanging from his belt are three stars representing his sword. If you’re located at a dark sky site, you will be able to see more details in Orion. His rather small pointy head is represented by a triangle of stars. His right arm raises a club and his left arm raises something towards Taurus the Bull. Some legends have this as a lion’s skin, others as a shield. I like to see Orion as a superhero beset by evildoers on all sides, but also with friends and allies. Taurus, to his upper right, is marked by a bright red star, Aldebaran, in the midst of the cluster of stars known as the Hyades. A bit higher is a second cluster, the Pleiades. Both clusters are easily seen with the naked eye. Orion is shielding himself from the Bull with his lion’s skin. Below Taurus, to the right of Orion, is a meandering stream of stars which early astronomers saw as the river Eridanus. This river meanders below the southern horizon for most people in the U.S.A., but those in southern Florida and Texas may catch a glimpse of its destination, the first magnitude star Achernar. Above the horns of Taurus is Auriga the Charioteer, marked by Capella, the sixth brightest star in the night sky. I see him as the cavalry riding to Orion’s rescue. Each dog contains one bright star: Procyon in Canis Minor and Sirius in Canis Major. There is only one brightish star besides Procyon in Canis Minor, making it more like a hot dog than a real dog. Canis Major is more like a real dog, sitting up with a head, body, and two hind feet. Sirius and Procyon are the first and eighth brightest stars in the night sky, and among the nearest to the sun at 8.6 and 11.4 light years distance respectively. Between the two dogs is a faint constellation with a long name: Monoceros. “Mono” means “one” and “ceros” means “horn,” so Monoceros is a unicorn. Although it lacks any bright stars, it is one of the richest constellations in deep sky objects, because an arm of the Milky Way lies in this direction. What is beneath Orion’s feet? Usually called Lepus the Hare, I like to think of this as Monty Python’s Killer Rabbit, yet another foe for our hero to vanquish. Everything I’ve described can be seen with the unaided eye, even in fairly light polluted skies. If you have binoculars or a small telescope, there are incredible riches to be discovered, such as the clouds of glowing gas in Orion and Monoceros, the star clusters of Taurus, Auriga, Monoceros, and Canis Major, and the galaxies of Eridanus. This week Venus will be shining at its brightest, low in the southwestern sky just after sunset. Venus’ brightness is the result of geometry. As Venus moves around the Sun, closer to it than the Earth, we see it illuminated from all angles. This causes it to pass through a series of “phases” similar to the moon. When it is on the far side of the Sun, called “superior conjunction,” it is fully illuminated from our point of view, and we see it as a “full Venus.” It is 100 percent illuminated but far away, only 10 arc seconds in diameter. When Venus is at “greatest elongation,” farthest from the Sun in our sky, as it was on November 1, we see it as a “half Venus.” When it passes between Earth and the sun, as it will on January 11 2014, called “inferior conjunction,” it is illuminated from behind, just like the new moon. The brightness we see from Venus depends on two things: its phase and its distance from us. It should be brightest at its “full” phase, like the Moon, but at that time it is at its furthest from us. At “half” phase, as it was on November 1, only half of it is illuminated, but it is much brighter because it is much closer. As Venus nears inferior conjunction, its illuminated portion shrinks down to a narrow sliver. This causes it to fade in brightness. But it is also getting closer to us, which makes it brighten. This week, these two factors balance out, and we will see Venus at its very brightest. It is neither “half Venus” (50 percent illuminated, 25 arc seconds in diameter) or “new Venus” (0 percent illuminated, 60 arc seconds in diameter), but somewhere in between. In fact it is 26 percent illuminated and 41 arc seconds in diameter. This is the “Goldilocks point” when distance and phase combine to produce the greatest brightness. This week Venus will shine with a brightness of –4.9 magnitude, on the upside-down brightness scale that astronomers use. It is based on the brightest stars being magnitude 1 and the faintest stars visible being magnitude 6. Thus the brighter the object, the smaller its magnitude number. Astronomers extended this scale into the negative for really bright objects. 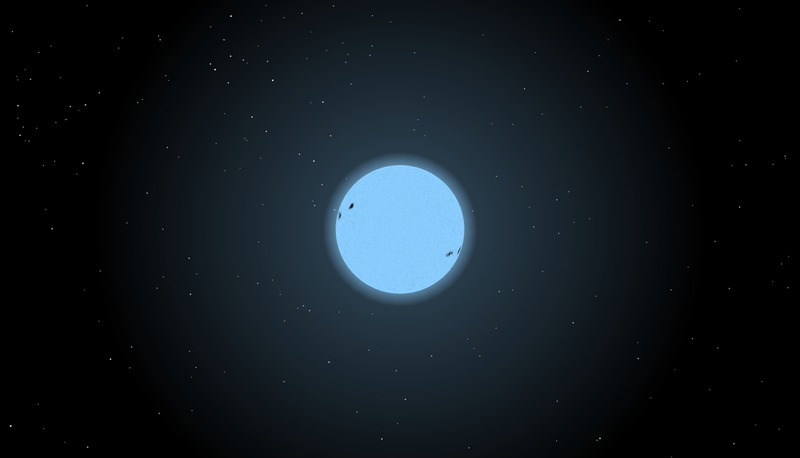 The brightest star in the night sky, Sirius, is magnitude –1.4. The full moon is –12.7 and the sun is –26.8. So Venus this week will be considerably brighter than Sirius, but nowhere near as bright as the moon. It is bright enough to cast shadows, when observed on a moonless night from a dark location. Even though Venus is the brightest object in the night sky other than the moon, surprisingly few people have seen it in its current apparition. That’s because at this time of year the ecliptic, the path of the planets across the sky, makes a very shallow angle with the horizon in the northern hemisphere. Although Venus is very bright, it is also very low in the sky, so is often blocked by clouds or buildings. This week, find yourself a location with a low southwestern horizon and look for Venus. Watch it as it slowly sets, and see if you can see it change color from white to orange to red as it nears the horizon, just as the sun and moon do. Did you know that you can see Venus in daylight? The best time to look for it will be on Thursday this week. Look for the narrow crescent moon in the afternoon sky above and to the left of the sun. Use that to locate Venus, just below the moon. You may need binoculars to first spot it, but once you know where it is relative to the moon, it’s very easy to see.